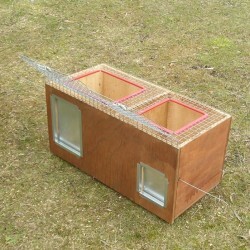 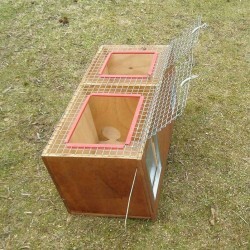 The cage for hares is designed in treated marine plywood for outdoor use. 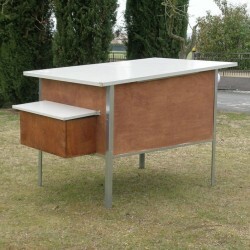 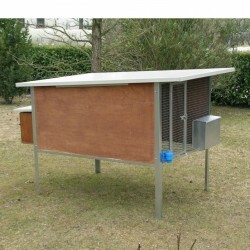 The structure is made of sturdy galvanised steel. 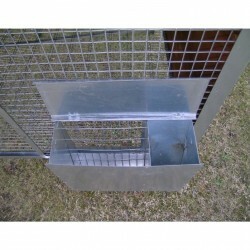 The bottom is in galvanised mesh and reinforced. 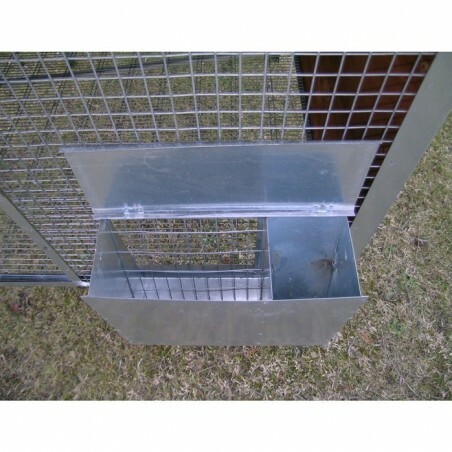 The hutch for hares is equipped with a front gate, feeder with hay compartment and automatic drinker. 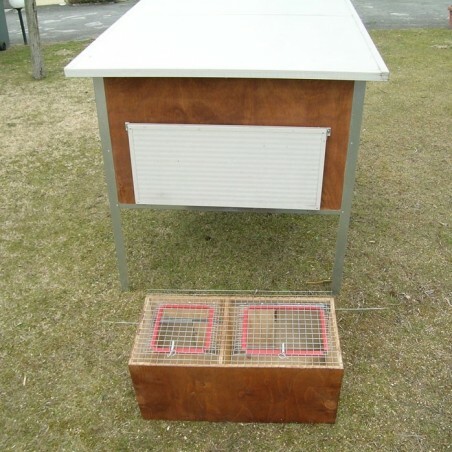 It is suitable for the reproduction of a pair of breeding rabbits and bunnies to weaning. The nest is divided into two zones (breed and weaning bunnies) with a interconnecting hole; it is easily removable and fitted with inspection doors for easy capture. 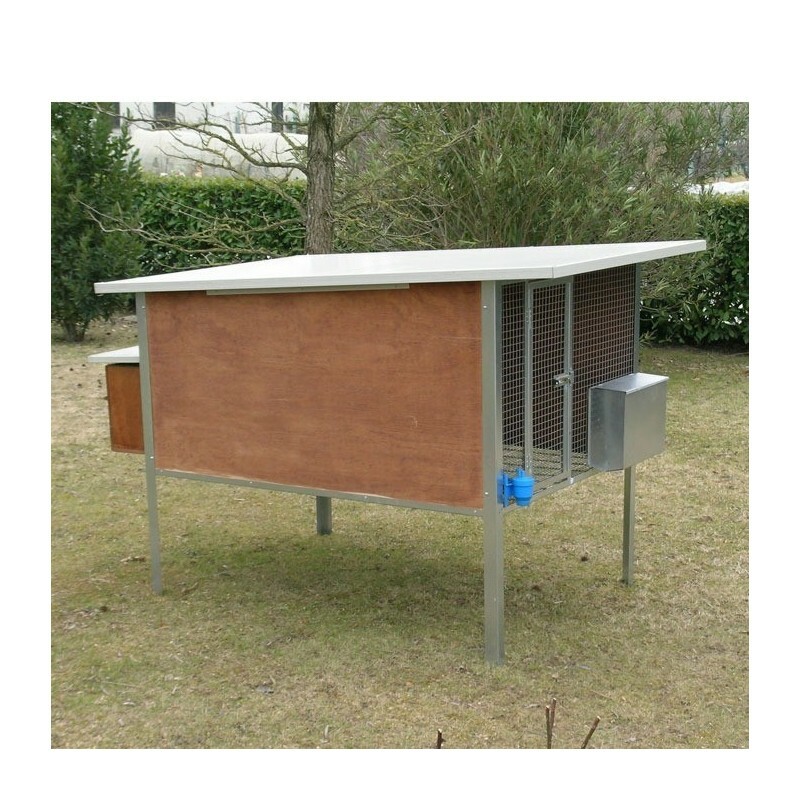 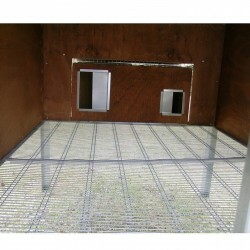 The roofs of the hutch and nest are made of insulated panel.